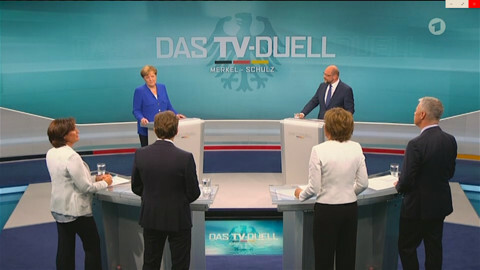 German chancellor Angela Merkel has “lost touch” with ordinary people, does not know how to handle Dieselgate, and is too soft on Turkey, her main election rival, Martin Schulz, has said. Schulz launched his attack in an interview with ARD, a German broadcaster, on Sunday (27 August), ahead of the elections on 24 September. He accused her of using state helicopters to fly to rallies. “More and more people are seeing this as a kind of aloofness that is already playing a big role in this campaign and will mobilise my voters,” he said. 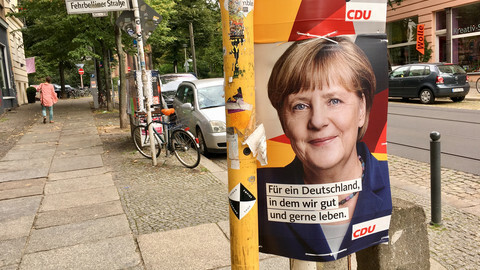 He also compared her to former German chancellor Helmut Kohl, who like Merkel, spent more than a decade in office. “Merkel is lost in reverie … The last four years of the Kohl era was a period of stagnation and political agony. I want to spare Germany that again,” Schulz said. 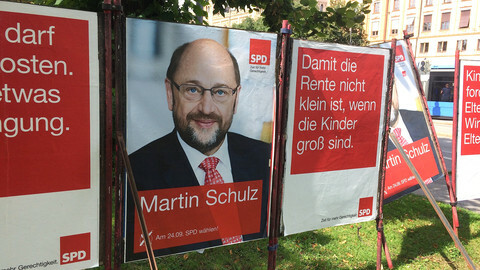 Schulz, a 61-year-old former European Parliament president, is trailing in polls. The last one, by Infratest for ARD, said his centre-left SPD party had dropped two points to 22 percent, while Merkel’s conservative CDU/CSU party had 38 percent. But Schulz said he was putting his hope in the 46 percent of people who had still not decided whom to vote for. "I want to reach those undecided people. And if I can do that, then I can win,” he said. 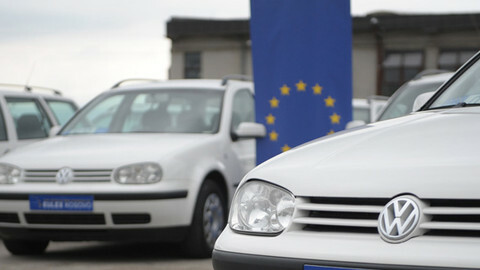 With the SPD focusing on social justice, he attacked Merkel for blocking plans to let people file collective lawsuits against VW, a German car maker, for selling diesel engines with fake emissions standards - the so-called Dieselgate scandal. “The individual consumer who drives a car and has to make his case against Volkswagen or Daimler is lost on his own”, he said. 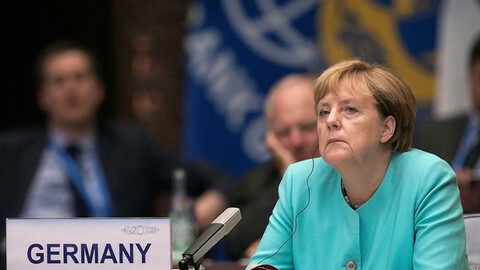 He said Merkel had done too little to make other EU states take in asylum seekers from Greece and Italy, but his main foreign policy gripe was her handling of Turkish president Recep Tayyip Erdogan. 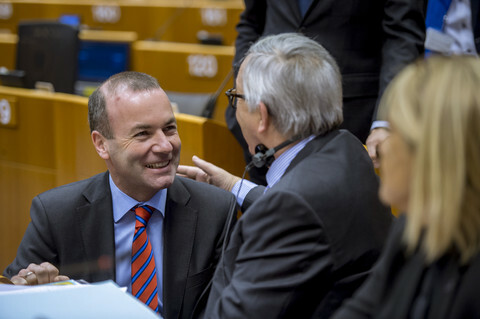 He sad that if Erdogan did not free German journalist Deniz Yucel or human rights activist Peter Steudtner then he would block plans to extend the EU-Turkey customs union. "I would do it as a federal chancellor,” he said. Merkel also spoke out the same day in an interview with rival German broadcaster ZDF. “I still have the strength and the curiosity [to lead],” she said. She said the Dieselgate proposals, put forward by an SPD minister in the current coalition between SPD and CDU-CSU, were flawed and that she would allow collective lawsuits if they were “properly designed”. She did not speak out on migrants or Turkey, but she said, also on Sunday in an interview with Die Welt, a German newspaper, that she did not regret opening Germany’s doors to refugees at the height of the migration crisis. “I’d make all the important decisions of 2015 the same way again,” she said. She had faced hecklers one day earlier at a rally in the town of Quedlinburg who had chanted “traitor!” and “liar!” when she spoke about immigration. 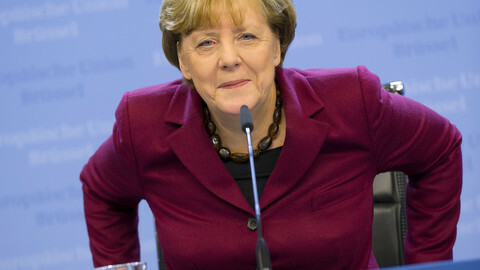 But Merkel pointed out that the protesters were a small minority in the crowd of some 1,500 people. “Some believe the problems in Germany can be fixed by screaming - but I don’t think so,” she said. 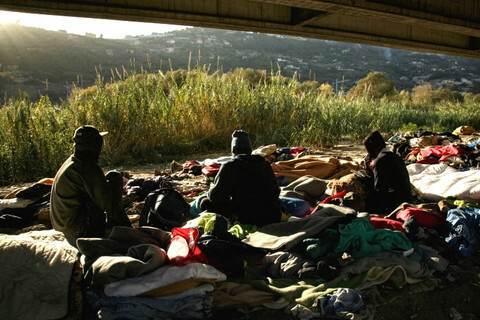 Immigration is a hot-button issue in the elections, but AfD, a populist anti-immigrant party, has failed to make headway despite its talk of migrant terrorism. AfD gained two points to reach 10 percent in the ARD poll last weekend, making it the third most popular party after CDU-CSU and SPD. 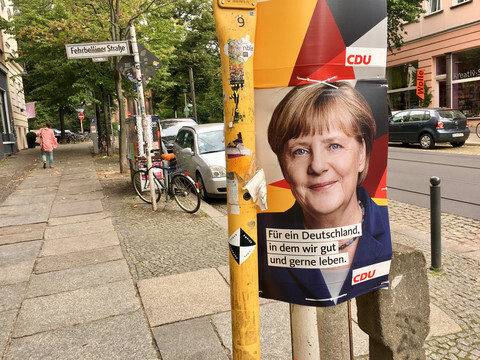 The other minor league parties - the Greens, the far-left Die Linke, and the pro-business FDP - who are more refugee-friendly than Merkel, also had almost 10 percent each. About 1 million people came to Germany in 2015. This fell to 280,000 last year on the back of a deal with Turkey, but Erdogan has threatened to tear up that accord amid reports of increasing numbers of people leaving Turkey for Greece once again. 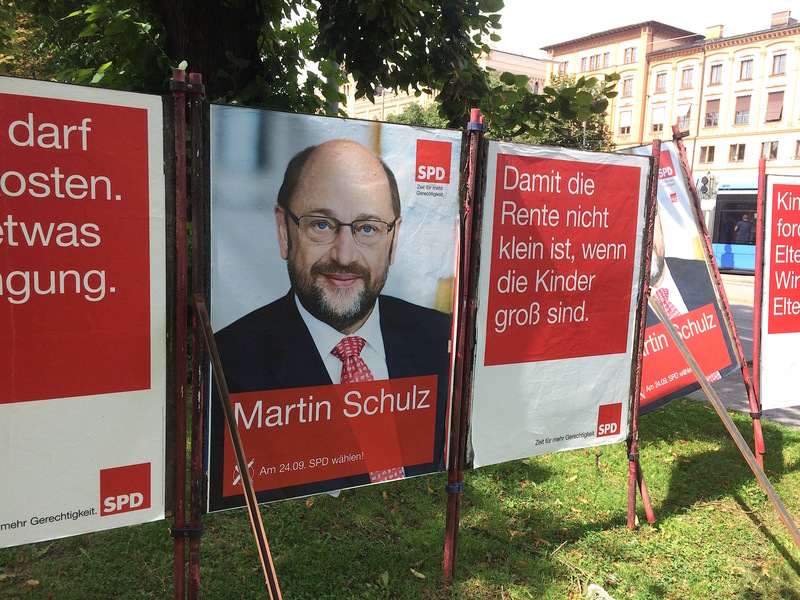 The SPD is also refugee-friendly, but it wants EU states who refuse to share migrants to face cuts in EU funds. Schulz last week announced that he would expel US nuclear weapons from German territory and that he rejected US calls for Germany to spend more on defence. That did little to help him, despite US president Donald Trump’s huge unpopularity in Germany. The former SPD chancellor Gerhard Schroeder’s decision to join the board of a Russian oil firm also hurt the party by making it look like a Russian sell-out. Germany's desire for a safe pair of hands predates chancellor Angela Merkel.